Digital Citizen is a biweekly review of news, policy, and research on human rights in the Arab World. This volume looks at repression in Kuwait, DDoS attacks in Lebanon, and much more. On March 14, Ghada Jamsheer, a blogger and women’s and religious rights campaigner, was stopped at the Bahrain International Airport on her way to seek medical treatment in France. The decision to prevent her from travelling was implemented in accordance with an order issued by the prosecutor general. No explanation was given. Jamsheer has previously been investigated by electronic crimes department of the criminal investigations bureau for tweeting about corruption at a hospital run by the ruling family in Bahrain. The government approved a cybercrime draft law and submitted it to the presidency for approval. The bill has been criticized for undermining freedom of expression. According to Alaraby, blasphemy and electronic crimes committed for the purpose of disturbing public order, endangering the safety and security of society, damaging national unity and social peace, are punished by a life-term imprisonment. The draft prescribes a punishment of up to three years in jail for hacking of e-mail accounts, personal and government information and incitement to terrorism. The draft law does not require websites to register with the authorities, but lists punishments for the dissemination of rumors. On 11 April, a court in Cairo sentenced Rassd news website’s executive director Abdullah al-Fakharany and the site’s co-founder Samhi Mustafa to life in prison, along with Amgad TV presenter Mohamed al-Adly. The three were arrested in August 2013 two weeks after the dispersal of a sit-in at Rabaa Al-Adawiya Square in Cairo, where supporters of former president Mohamed Morsi gathered to protest his ouster by the army. They were accused of working with the now outlawed Muslim Brotherhood to undermine Egypt's military and its government. Rassd’s public relations director Amrou Faraj also received a life sentence in absentia. Egyptian authorities arrested several journalists in the aftermath of its crackdown on the sit-in, including freelance photographer Mahmoud Abou Zeid, known as Shawkan, who has recently completed more than 600 days in pre-trial detention. Shawkan was also arrested in August 2013, while covering clashes between Egyptian security forces and supporters of Morsi for the citizen journalism website Demotix. Iraq’s minister of communications Hassan Rashed announced that new ‘procedures to control online outlets’ will be imposed next June. It is not clear what are exactly these procedures, and whether they will only apply to online media or all internet users in the country. On 5 April, Kuwait’s Supreme Court upheld a two year jail term against opposition activist Ayyad al-Harbi over tweets critical of the country’s ruler. Al-Harbi, who is also a journalist at the Sabr news site has been behind bars since May last year for reportedly posting on Twitter verses of a poem critical of Arab rulers. On the same day, two activists had been set free after spending five days for questioning over tweets about the Saudi led military operation in Yemen. Al-Akhbar, a left-leaning news site, went offline on April 4th as a result of a DDoS attack. The publication opposes the ongoing war against Houthi rebels in Yemen. A day before the DDoS attack, Saudi Arabia's Al-Watan newspaper reported that the kingdom’s embassy in Beirut plans to file a lawsuit against the publication and quoted the ambassador as saying “the time has come to put an end to this”. IT security company Check Point identified a piece of malware believed to be operated by the Lebanese government or a political group in the country. The malware is called Explosive and gives attackers remote access to the communications hardware of their targets, allowing them to see what they do and say online. Organizations in Israel and neighbouring countries, such as defense contractors, telecommunications companies, media outlets and educational institutions are among its confirmed targets. Two hundred Lebanese villages, each inhabited by more than 200,000 people, are deprived of high speed DSL internet, according to a report published by the daily An-Nahar. On 31 March, a court in the capital Rabat sentenced press freedom advocate Hicham Mansouri to a ten-month jail term and a $4,057 fine over what his colleagues describe as a trumped-up adultery charge. Mansouri is the project manager for the Moroccan Association for Investigative Journalism (AMJI), a group which works to promote freedom of expression, access to information and investigative journalism. Prior to his arrest, he was working on a report about alleged Internet surveillance of activists and journalists by the Moroccan authorities. On 7 April, Mansouri started a hunger strike to protest his conviction. Police in the province of Taroudant arrested an activist named Alhassine Boujeghmat for writing on facebook about hardships in his village and criticising local officials. On 7 April, three civil-society groups announced the official launch of marsadhouriyat.org, an online platform to monitor free expression and media freedom violations. Omani authorities continue to target activists and bloggers for speaking out about rights violations online. Four activists from Liwa in the north of the country, were arrested after they called for the release of parliamentarian Taleb Al-Maamari, who has been in prison since August 2013 for taking part in a protest against environmental pollution. Majid Al-Bloushi, Abdullah Al-Kundi, and Saed Al-Khourosi were arrested on 5 April, while Mohammed Al-Manaee was arrested a day later. The four activists are reportedly being held incommunicado and have no access to their lawyers. Meanwhile, human rights defender Saed Jadad was released on bail on 7 April. Jadad was sentenced to three years in jail in March for addressing a letter to US president Barack Obama. In the letter published on the web on 31 May 2013, Jadad criticized US human rights policies in Gulf countries. In a different case, he was sentenced to one year in prison for allegedly violating the country’s cyber-crime law. On 6 April, the Syrian Observatory for Human Rights—a monitoring group that documents rights violations committed in the ongoing Syrian conflict—reported that ISIS militants stormed internet cafes in the city of Deir Ezzor, seizing computers and arresting 15 individuals. Mazen Darwish, the detained director of the Syrian Centre for Media and Freedom of Expression (SCM) has been awarded the 2015 UNESCO/Guillermo Cano World Press Freedom Prize. Darwish along with his colleagues Hani Al-Zitani and Hussein Gharir have been in prison since 2012 and are accused of “publishing information about terrorist actions” for their rights activities including monitoring of online news and publication of human rights reports. On 15 April, the Damascus terrorism court postponed issuing a verdict in the case of Darwish, Al-Zitani and Gharir for the twenty-first time. On 16 April, a judge ordered the conditional release of blogger Yassine Ayari, who was arrested last December for insulting the military through Facebook posts. Ayari was first sentenced in absentia to three years in prison last November, before his sentence was reduced to one year in a retrial in January. In March, a court of appeal further reduced his jail sentence to six months. State-owned Yemen Net, the largest internet service provider in the country, has continued to block websites over their coverage of the Saudi-led war against Houthi rebels. The rebels are now in control of the capital Sana’a and its government offices, including the ministry of communications and information. After blocking a number of local search news sites in late March, websites of the regional news networks Al Jazeera and Al Arabiya were also blocked on 7 April. From his prison cell, Nabeel Rajab addresses an open letter to the US president. Kirolos Nathan, from the Cairo Institute for Human Rights, writes about Arab governments’ draconian response against free expression online. EFF has released a new Surveillance Self-Defense playlist for LGBTQ youth. Digital Citizen is brought to you by Advox, Access, EFF, Social Media Exchange, and 7iber.com. This month’s report was researched, edited, and written by Afef Abrougui, Ellery Roberts Biddle, Mohamed ElGohary, Amira Al Hussaini, Thalia Rahme, Hayder al-Shakeri, and Jillian C. York and translated into Arabic by Mohamed ElGohary. 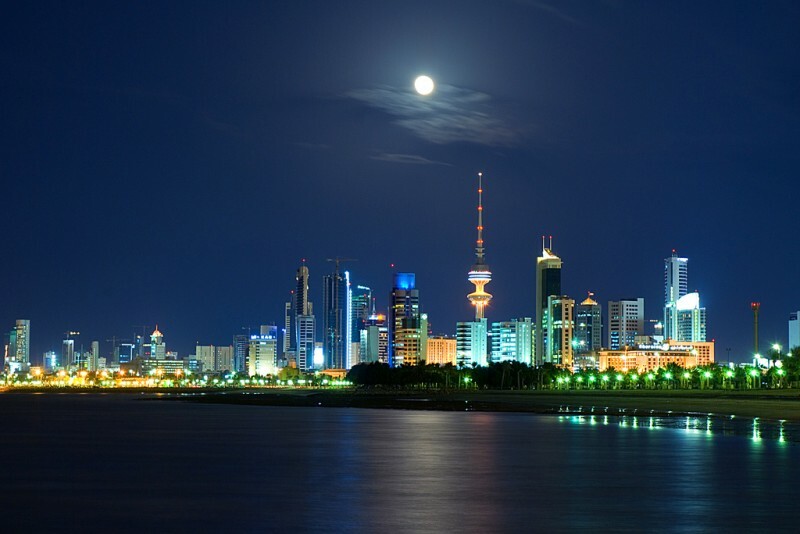 Image of Kuwait City skyline by Cajetan Barretto, CC BY-NC-SA 2.0.